The next major update to Apple’s macOS operating system, macOS 10.13, is expected to be previewed this June at Apple’s Worldwide Developers Conference and released in Fall. Every time when upgrading to a new Mac operating system, users will inevitably encounter some problems, such as some programs are placed in a folder named incompatible software and will automatically disabled or does not work as normal. Even so, most users still desire to upgrade their Mac operating system for a stable system performance. If your old DVD ripper can’t open or work properly on macOS 10.13 due to incompatibility issue, you need to look for a better free DVD ripper for macOS 10.13. In this post, we put emphasis on introducing the best free DVD ripper for macOS 10.13 according to some research and comparison. Which free DVD Ripper is the best for macOS 10.13? Pavtube Free DVDAid for Mac works on macOS 10.13, macOS Sierra and earlier macOS operating system without any trouble. Next, let’s have a deep analysis of this macOS 10.13 free DVD ripper. This free software does a very good job on ripping and copying your DVD collection, including your copy-protected DVD discs. Even the newest copy protection and encrpytion can be removed by this free DVD ripper. It supports ripping DVD to AVI, MKV, WMV, MOV and other video formats without watermark, so you could watch DVD movies on mobile phones, tablets, game consoles, etc. at will. Pavtube Free DVDAid for Mac offers versatile functions and user-friendly interface that newbies can navigate their options and customization tools easily even without instruction. Let’s start the best free DVD ripper for macOS 10.13 here! Import DVD by clicking "File">"Load from disc", or load DVD Folder by clicking "File">"Load from folder" or load DVD IFO/ISO image by clicking "File"> "Load IFO/ISO". After the files are imported, you can select the subtitles and audio track you like. Just click “Subtitles” dropdown list and choose "English". If you want to get DVD including forced subtitles, please check the box “Forced subtitles” nearby. Then hit on the "Audio" dropdown menu to select the audio track you want. 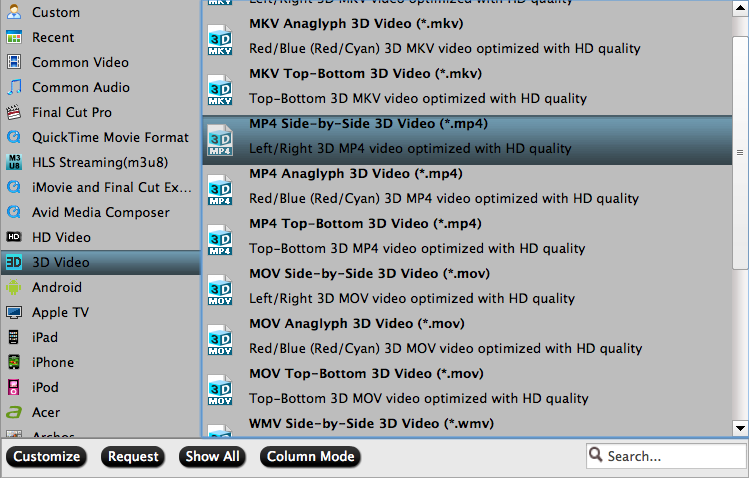 Simply click on Format bar and select the output format from the drop-down list, such as MOV, AVI, MKV, FLV, etc. 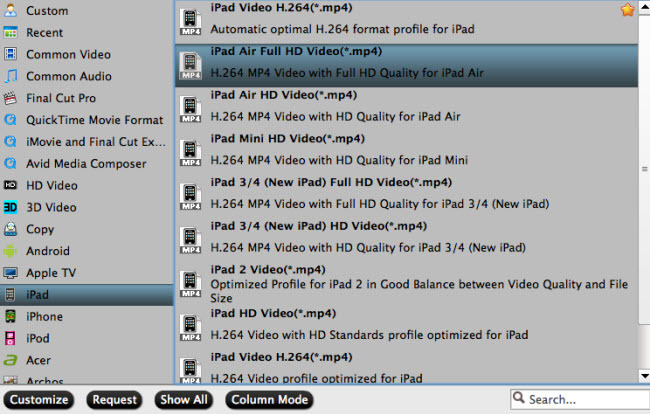 You can also select the QuickTime Movie Format to get a video that is compatible with QuickTime player. If you want to use iMovie and other video editing software application on macOS 10.13 to get better video editing performance, the output "MPEG-2 Video(*.mpg)" under "Common Video" main category can be selected. Then click "Browse" button and select a destination folder to save your ripped video. 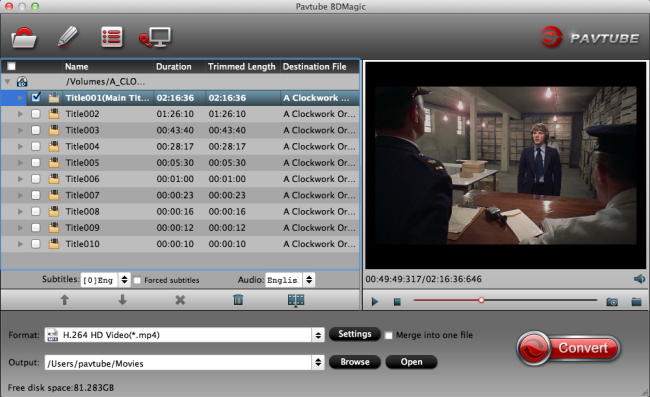 Pavtube Free DVDAid for Mac is not only a DVD ripper, but also a video editor. You can click the “Edit” button on the main interface to trim, crop, add subtitles, watermarks and more. If you desire to customize output video quality, click “Settings” button to customize video quality like resolution, frame rate, bit rate, audio channel, etc. Once everything is OK, hit right-bottom "Convert" button to start rip DVD with the best free DVD ripper for macOS 10.13. Just in a while, you will see the ripped file in the format you choose on your Mac computer. Besides Pavtube Free DVDAid for Mac, there are many other DVD rippers for macOS operating system that you can have a try. The free trial version of ByteCopy for Mac can also be taken to free rip DVD you like on macOS 10.13, macOS Sierra and other macOS operating system without any difficulty. In addition, its amazing DVD ripping ability is as good as that of Free DVDAid for Mac, making DVD backup a breeze with videos the same as original. With this DVD ripper, you are allowed to rip commercial DVD with copy protection and region code to various formats with all your desired audio tracks well preserved for freely viewing on iPad, iPhone, Apple TV and other devices. How to use ByteCopy for Mac to rip DVD on macOS operating system? Step 1: Click "Load Disc" icon to add DVD from an external DVD drive into the program. Besides DVD disc, you can also use the program to load DVD Video_TS folder or ISO image file. What’s more, Blu-ray movies can also be easily converted to suit your needs for entertainment on macOS operating system. Step 2: Click Format bar and choose the output video format or device as you like. You can also edit the video before ripping DVD on your macOS Sierra just by clicking the ‘Edit" button on the main interface to open the "Video Editor" window. Step 3: Click the “Convert” button on the main interface of ByteCopy for Mac, then go to Conversion window to start ripping DVD on macOS operating system. Pavtube BDMagic for Mac is another DVD ripper running on macOS Sierra and other macOS operating system flawlessly. Its free trial version can rip all copy protected DVDs on Mac easily without any payment. By the way, BDMagic also applies to Blu-ray sources. 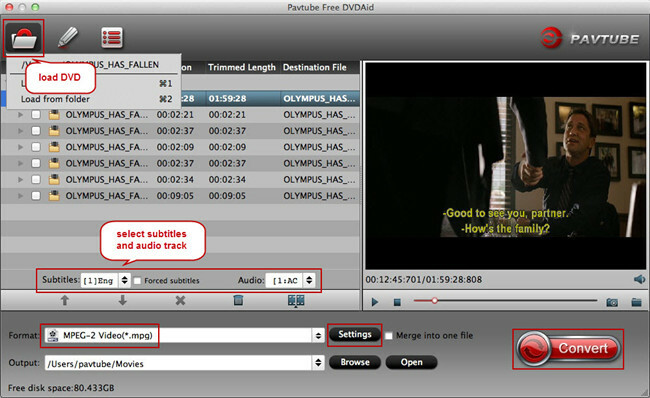 If you have both DVD and Blu-ray, Pavtube BDMagic is the right one for completing you DVD/ Blu-ray ripping task. 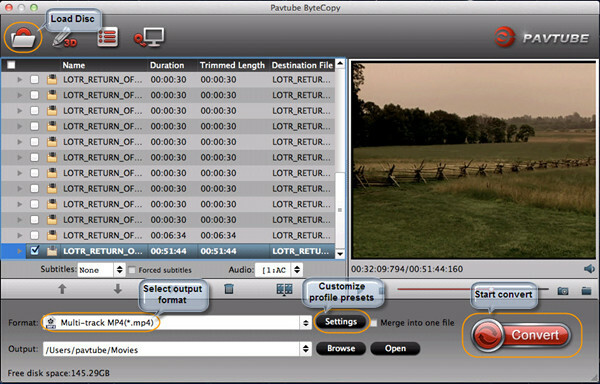 After converting DVD to MP4, M4V, MKV, MOV and more, BDMagic for Mac allows you to watch the movies on computer, iOS/Android/Windows portable devices, HD media players, Game Consoles and also edit in Final Cut Pro, iMovie, Final Cut Express, Avid. Here is a simple guide of BDMagic for Mac to rip DVD on Mac computer. Step 1: Click "Load Disc" icon to add source DVD disc into this DVD ripper. And DVD ISO image, DVD IFO image and DVD folder are also allowed. Step 2: Clicking the Format bar, you can choose output format from the format list or customize which formats to be shown on the list. For example, if you want to enjoy video on the new iPad (2017), here, you can just choose to output "iPad" > "iPad Air Full HD Video(*.mp4)" as iPad (2017) has the same format compatibility as iPad Air. Step 3: Clicking the Convert button on main interface, you can go to Conversion window to start conversion. You can find conversion information on the window, such as Time elapsed, Time left, Generated size, and Estimated size. From this Comparison Chart between four DVD rippers for Mac, we can find that ByteCopy for Mac and BDMagic for Mac stay ahead of Free DVDAid for Mac in the diversity of output formats and codec. However, for the free trial version of ByteCopy and BDMagic, the only drawback is there will be a watermark on the output video. So, if you want to rip copy-protected DVD to a video without watermark for free on macOS 10.13, Free DVDAid for Mac is your best choice.